For countless centuries the Syilx people of the Okanagan have called the Okanagan-Similkameen valley home. The knowledge needed for survival and continuation of all life was passed from one generation to the next through their stories, songs, traditions and customs. Today, the En'owkin Centre and ECOmmunity Place are helping to preserve and perpetuate these rich traditions by providing a strong commitment to protect the Indigenous plants, wildlife, culture and spirituality found within these lands. ECOmmunity Place brings together learning and lands, conservation and culture on a 100 acre (40 hectare) site located on the west side of the Okanagan River on the Penticton Indian Band Reserve, directly adjacent to the City of Penticton. 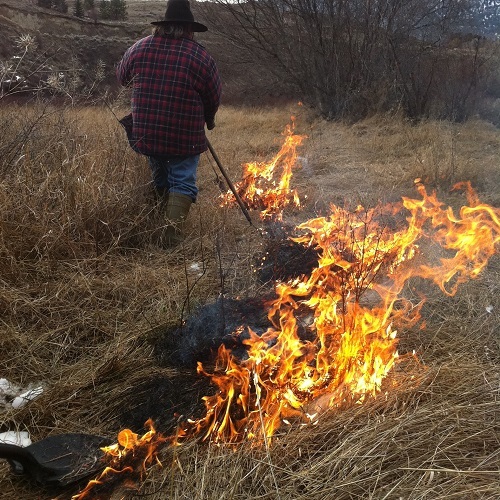 Lowland riparian and wetland habitats historically covered a large portion of the South Okanagan valley bottom and were vital to the survival of Indigenous plants, fish, birds, wildlife and the Syilx people. Over the last 150 years, however, 85% of these vital habitats have been lost as a result of accelerating residential, commercial, industrial, agricultural and recreational development. Pressure to develop remaining natural areas in the valley bottom continues to be strong, threatening vital sources of traditional foods, medicines, and natural materials, and endangering the homes of Indigenous biodiversity. 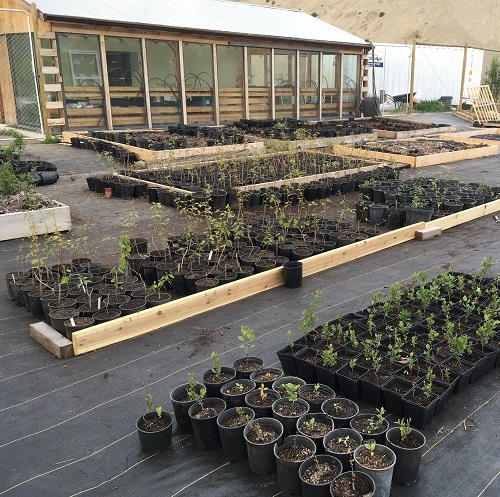 Through the En'owkin Centre, the ECOmmunity Place Locatee Lands project seeks to permanently protect some of the last remaining lowland riparian and wetland habitats in the South Okanagan region, including one of the largest stands of mature black cottonwood forest remaining in the valley. The mosaic of habitats present at ECOmmunity Place including forests, dense shrub lands, open fields, wetlands, rolling grassland-shrubsteppe hills and the channelized Okanagan River provide homes to hundreds of species of Indigenous plants and animals including several rare plant communities and over 20 nationally- and/or provincially-listed species at risk. 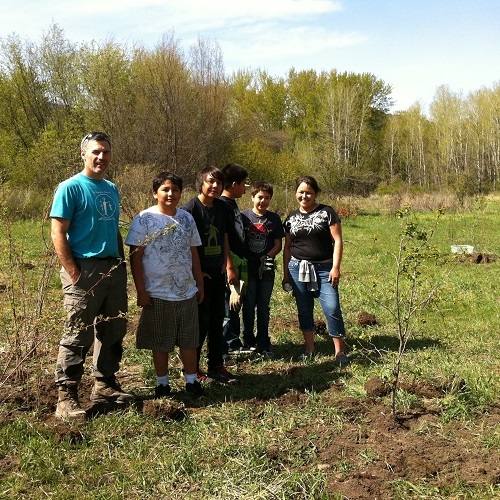 The ECOmmunity Place Locatee Lands project is essential as part of the recovery, re-vitalization and perpetuation of Syilx (Okanagan) language and culture by providing land-based learning opportunities and continued access to Indigenous foods, medicines, and natural materials, while ensuring protection of Indigenous plants, fish, birds and wildlife. ECOmmunity Place also offers opportunities for Syilx people to share the richness and importance of Syilx culture and deep connection to the Land with others to and facilitate a greater appreciation and respect for Indigenous aboriginal peoples, perspectives and ways. Our hope is that ECOmmunity Place will serve to protect Indigenous biodiversity, assist with the recovery of species at risk, advance ecoliteracy, and inspire adoption of environmentally sustainable lifestyles. Since 2001, the En'owkin Centre has been successful in providing short-term protection to the ECOmmunity Place Locatee Lands site in partnership with the Penticton Indian Band, Locatee Land owners, Environment Canada, Aboriginal Affairs & Northern Development Canada, The Land Conservancy of British Columbia, Okanagan Similkameen Conservation Alliance, South Okanagan Similkameen Conservation Program, Centre for Ecoliteracy, Ecotrust, The Vancouver Foundation and many other partners. Efforts to secure these lands in-perpetuity are underway, but we need your help! Please contact us to learn how you can help us permanently protect this vital educational and ecological space containing some of Canada's rarest habitats and species. ECOmmunity Place provides a natural "living classroom" where groups and individuals can explore the natural and cultural qualities that define the uniqueness of the South Okanagan and Syilx people. At ECOmmunity Place, En'owkin Centre staff offer a wide range of activities and programs including guided interpretive tours, educational programs, curriculum-based studies, professional development experiences, workshops, performances and land-based projects. Each experience features Syilx culture and language, allowing you to gain a deeper appreciation and understanding of local environmental values, environmentally sustainable practices and Syilx culture through artistic expression, storytelling, performance, demonstration of traditional practices, or participation in species and habitat recovery projects. En'owkin Centre staff are successfully utilizing both Syilx Traditional Ecological Knowledge perspectives and traditional practices with western scientific conservation methods to restore endangered habitats and ecological processes, and recover populations of multiple species at risk with support from Aboriginal Affairs and Northern Development Canada and Environment Canada's Interdepartmental Recovery Fund and Aboriginal Funds for Species At Risk. Over 20 nationally- and/or provincially-listed species at risk utilize the ECOmmunity Place Locatee Lands, including a significant portion of the Endangered breeding BC population of western Yellow-breasted Chat (x?a??q?aylm'). Three new constructed ponds were created in 2012 to restore breeding habitat for Western (Blotched) Tiger Salamander / (nc?ac?ayna) and Great Basin Spadefoot (p'?sk?aqs). 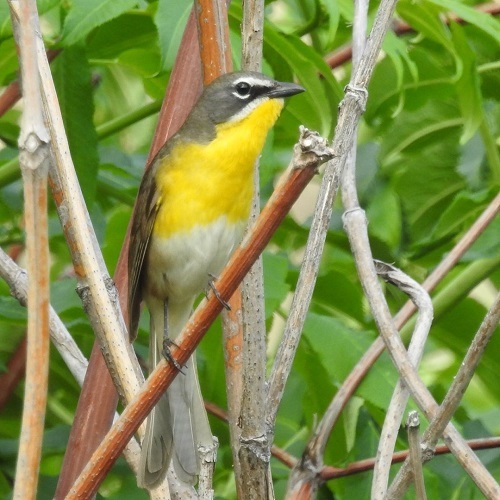 Annual plantings of wild rose and Indigenous berry-producing plants, paired with invasive plant removal, are helping to restore and increase the productivity of habitat for Yellow-breasted Chat (x?a? 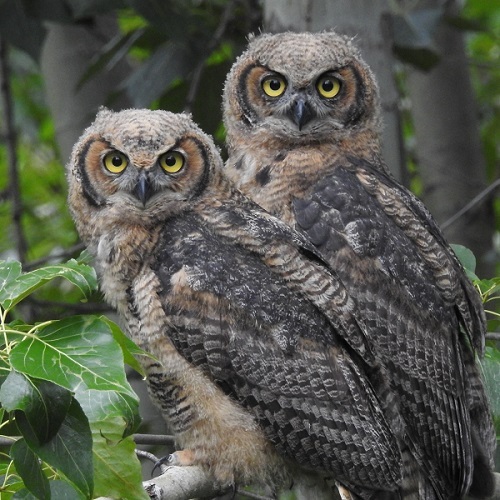 ?q?aylm') Western Screech-Owls (q??lq??lsnina?) and other species. Multi-species bio-monitoring and conservation planning is underway to determine the requirements for continuing protection and recovery of priority species, as well as to identify opportunities to re-introduce Indigenous species that were historically present prior to damming and channelization of the Okanagan River. Restoration of anadromous salmon and steelhead fish stocks and the return of natural riparian floodplain processes are also under consideration as part of ongoing site planning and stewardship in partnership with Environment Canada, the Penticton Indian Band, the Okanagan Nation Alliance Fisheries Department and other partners. 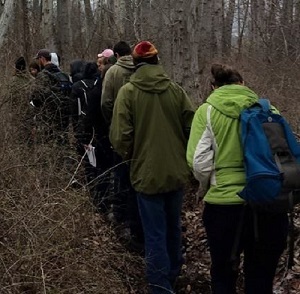 Enjoy a walk though black cottonwood forests and open fields and explore the shores of small wetland ponds or the undulating grassland hills guided by a Syilx Traditional Ecological Knowledge Keeper or En'owkin Centre ecologist. Observe and learn about local plants, birds, animals and fish, and the sacred connection Syilx people have to the Land and all other creatures. Each season offers something new to see and experience! Group tours of 2-3 hours duration are available upon request, with 10 or more persons preferred. Minimum donation of $10 per person to assist with ongoing ECOmmunity Place land protection and stewardship efforts. This exciting pilot project provides K-12 students and teachers from local and regional public schools and band-operated schools the opportunity to take their learning outdoors to experience Syilx aboriginal culture and language, ecoliteracy, and environmental sustainability practices first-hand! 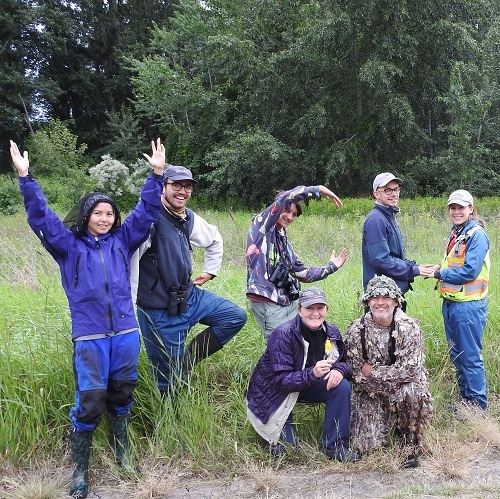 These curriculum-based outdoor learning experiences are guided by Syilx Traditional Ecological Knowledge Keepers, Elders, artists, performers and fluent language speakers. Support for this pilot project has been provided by the Vancouver Foundation, Environment Canada, Aboriginal Affairs and Northern Development Canada, School District No. 67 Okanagan Skaha, Outma Sqil'xw Cultural School, the Okanagan Similkameen Conservation Alliance, the Habitat Conservation Trust Foundation's Conservation Education Assistance Fund, and a growing list of new partners. Learning as if Nature Mattered! "Learning as if Nature Mattered" is a single-day or multi-day Professional Development workshop opportunity designed to assist teachers, teaching assistants, school administrators and other education specialists with the development and delivery of outdoor 'land-based' learning experiences that integrate ecoliteracy, environmental sustainability, and Indigenous aboriginal culture and language components into 'hands-on' curriculum studies. Modules are available for day-care and pre-schools, K-12, and post-secondary institutions. This workshop utilizes an ecological learning framework based on traditional First Nation community processes and developed by the En'owkin Centre in collaboration with the Centre for Ecoliteracy, with support from the Vancouver Foundation and a growing network of partners. Michael is a conservation ecologist, author and nature photographer assisting the En'owkin Centre with ECOmmunity Place Program Development. 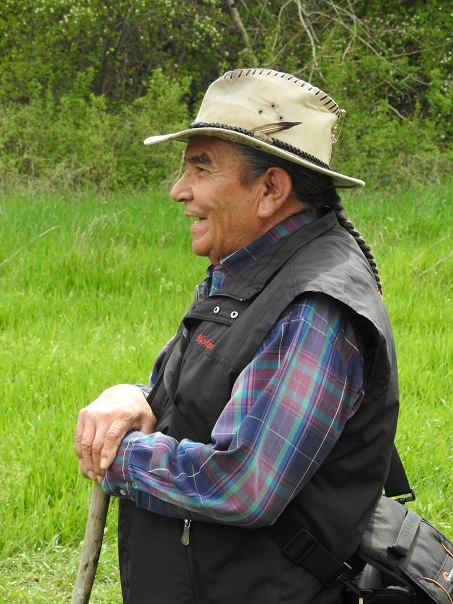 Michael works with the centre's Traditional Ecological Knowledge keepers, educators, community partners and funders to assist with capacity building. Richard is an Indigenous Traditional Ecological Knowledge Keeper of the nsyilxcen language, syilx knowledge, customs, lifestyles and pracitices and performance through the use of Captikwl (Okanagan Legends), songs and stories. Tammy is an Indigenous Traditional Ecological Knowledge Keeper of berries, plants and medicines. Tammy is is a member of the Lower Similikameen Indian Band. Tammy coordinates the tours and events bringing together resources for the use of incorporating Captikwl (Okanagan Legends), songs and stories with land based learning. 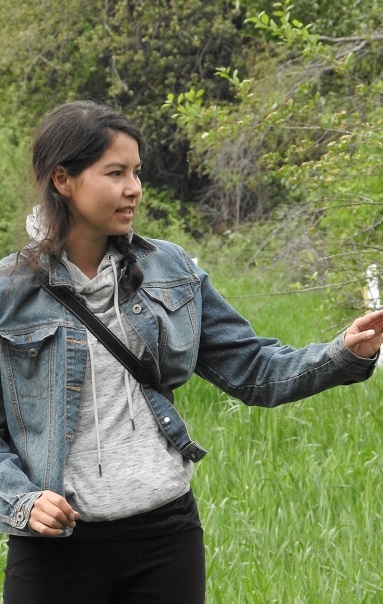 Tracey is a young Traditional Knowledge Keeper of the Okanagan Nation who works closely with the Elders of our communities to assist with the revitalization of culture, language and traditional land use. Harron is a TEK Coordinator working on a numerous special projects, specializing in Indigineous plant propogation. 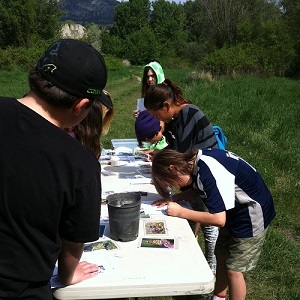 Harron assists with the land-based learning programs and outdoor experiences.